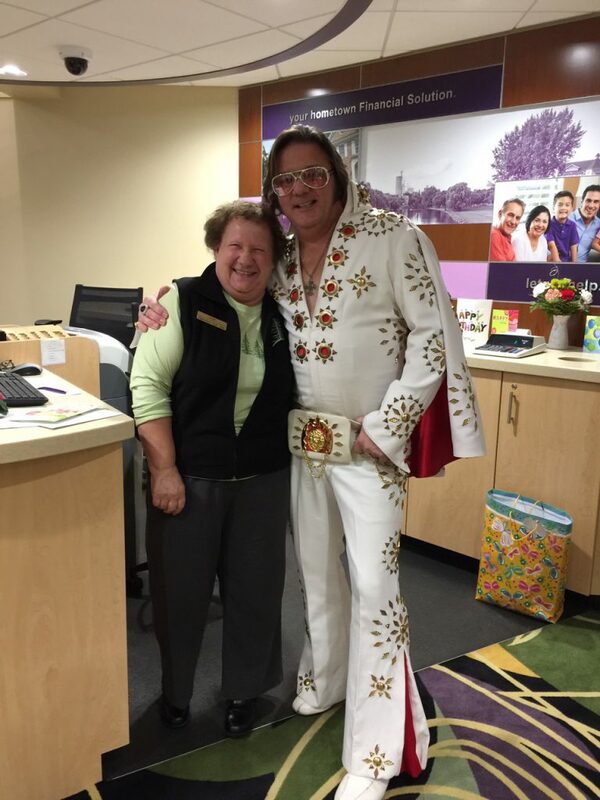 Whether you’re looking for entertainment for a special event or would like to send someone special a singing telegram, Elvis Bob is certain to be a big hit! Bob pays tribute like no one else to “The King” who is one of the most celebrated and influential musicians of the 20th century. Elvis was commercially successful in many genres, including pop, blues and gospel. He is the best-selling solo artist in the history of recorded music, with estimated record sales of around 600 million units worldwide. He won three Grammys, also receiving the Grammy Lifetime Achievement Award at age 36, and has been inducted into multiple music halls of fame. 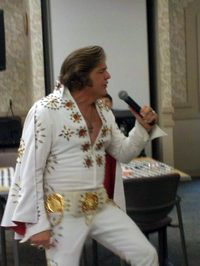 Bring back this musical icon for a bit of fun with Elvis Bob – just try not to step on his blue suede shoes!